APAC is the largest market for industrial sensors because of the presence of China in this region. China’s manufacturing output is the largest in the world. Therefore, China is among the world’s largest manufacturers and industrial producers. It is one of the major manufacturers of consumer electronics, automobiles, etc. The report segments the industrial sensors market comprehensively and provides the closest market size estimation for all subsegments across regions. 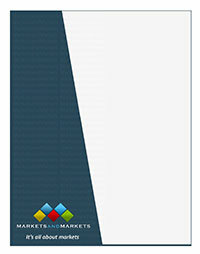 The report will help stakeholders understand the pulse of the market and provide them with information on key drivers, challenges, and opportunities pertaining to the industrial sensors market. The report will help stakeholders understand their competitors better and gain insights to improve their position in the industrial sensors market. The competitive landscape section describes the competitor ecosystem.